Tiles Are Taking Over the Studio! During Open Studio Time, a few students have decided to tile the back splash of one of their kitchens! This is a very ambitious project and this dynamic duo has done a great job making their tiles. In two afternoons they completed 155 tiles. Every flat space, board and rack in the studio have these unique tiles drying. Once I can fire them, the girls will be back to glaze. 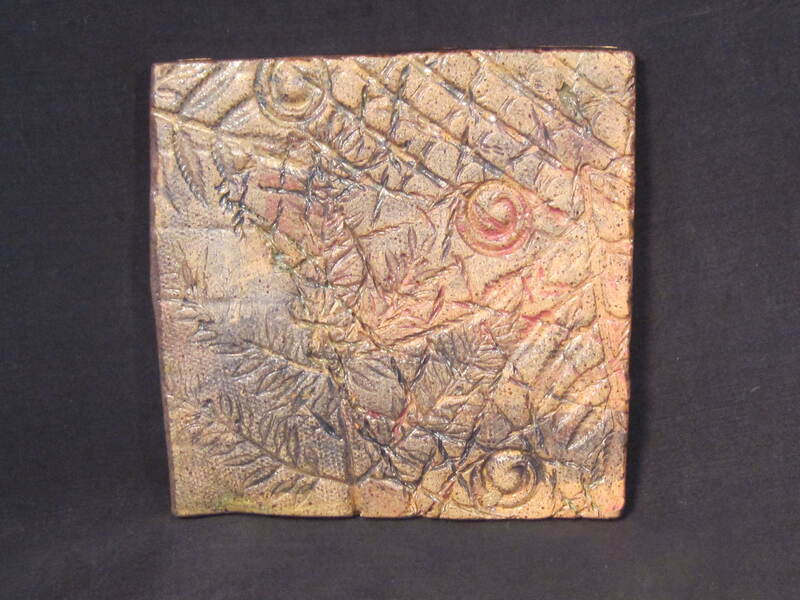 Shown is one of my textured tiles that I completed during a class I was teaching at the St. Clair Art Association. It gives me an idea that maybe my kitchen can use an update with a few new tiles! There is seven tiles in this series, all very similar with faint stains and oxides, along with the edges glazed in black. Approx. 4″ x 4″, each tile is $18 if your are interested shoot me an email from my contact page.